It's often difficult to articulate the real pain and anguish involved in heartbreak. But artist Victoria Siemer seems to do it better than most, with her series "Human Error." 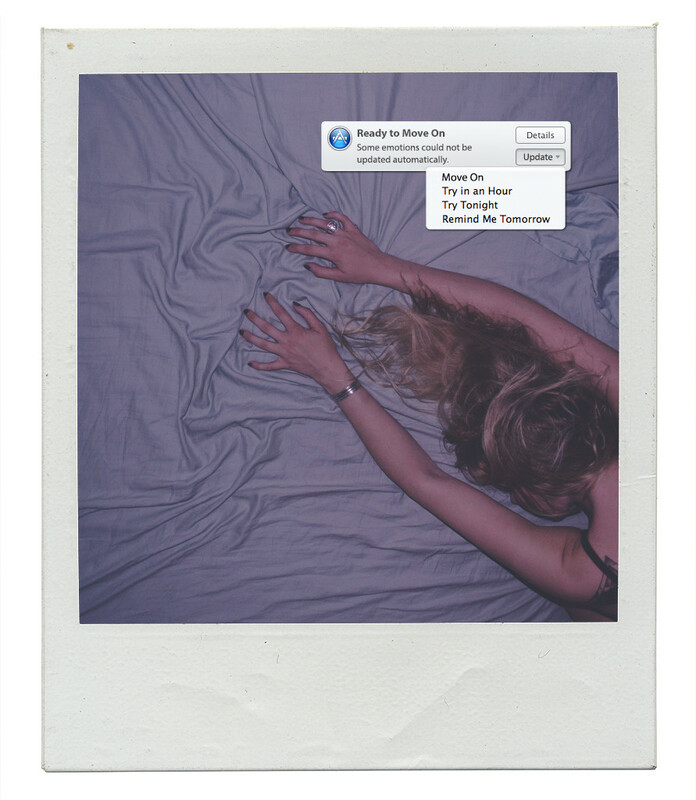 Overlaying intimate Polaroids with computerized error messages, she cleverly connects the futility of dwelling on a broken heart with the uselessness of channeling frustration towards your tech devices. The series was inspired by an unfortunate Photoshop experience. "I lost everything I was working on," Siemer, also known as Witchoria, explained to HuffPost. "An error message popped up that said, 'Photoshop has crashed unexpectedly' -- you know, stating the obvious. In my frustration I took a screenshot of that message to make a joke about how photoshop broke my heart." "As I was manipulating the image, I realized how many error messages could be applied to things that happen in day-to-day life," Siemer added. "The options that error messages offer are limited; by putting their prompts in conversation with images that evoke heartbreak or discontent, I'm emphasizing the sense of futility you feel in both contexts." The resulting series pairs dreamy portraits of beaches, tangled hair and crumpled bedsheets with stomach-churning error messages familiar to anyone who's operated modern technology. Gazing at the series, the viewer conflates feelings of ill will, realizing praying for a rainbow wheel to cease spinning -- and impatiently waiting for a heart to heal -- are not so far from each other. Check out a preview of Siemer's series below, and head over to her tumblr for more of her photography.